Tara, a female meditational deity for Buddhists, is considered to be the Bodhisattva (or mother) of Universal Love and Compassion. Buddhists believe that once she achieved her enlightenment on Earth, instead of transcending, she chose to stay in the world to help mankind raise their consciousness and free their souls. Tara means “the one who enables living beings to cross the oceans of existence and suffering”. It is her compassion for living beings and her desire to save them from suffering, that makes her protective of them like a mother is of her children. 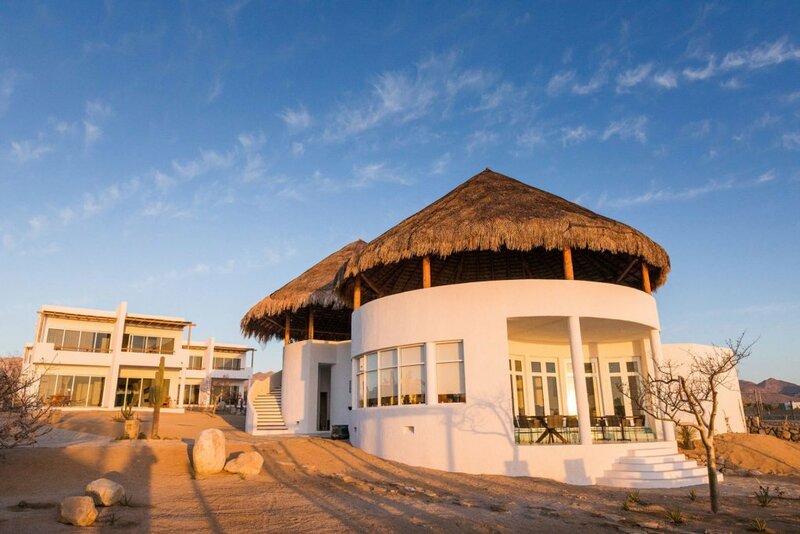 We at our luxury hotel in Baja California work hard every day to build a platform where teachers and masters from all over the world can come and share their wisdom, guiding you towards enhancing your mental, physical and spiritual well-being. Casa Tara, like a mother, is motivated by the profound desire to provide a caring, stress-free environment for all our guests… A sort of safe haven created for you to let go and just be yourself. You deserve relaxation. You deserve a retreat. You deserve to stay with Casa Tara Retreat — plan your trip today. Marcela’s first contact with yoga happened at the precise time she was finishing her graduate studies in Primatology, in London. She had become so stressed by the pressure of writing her thesis that a friend suggested she enrolled in a traditional hatha yoga class in the Sivananda Yoga Center. So she did, and with each passing day she took more and more interest in the philosophic nature of the yoga practice and quickly decided to do volunteer work in the Center and change the course of her life to become a teacher. To Marcela, teaching yoga became a way of helping herself and others find their balance in life, but it wasn’t until many years later that she could fulfill her dream of meeting her beloved teacher Patthabhi Jois in Mysore, India. This profound spiritual experience led her to Thailand, where she spent her days learning as much as she could from meditational retreats. 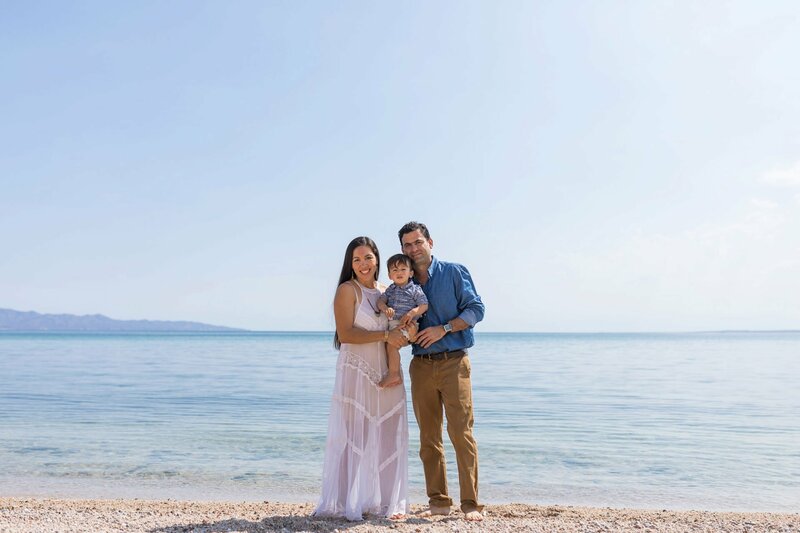 Her stay in Asia influenced her whole view of the world and reinforced her dream of building a place where teachers and wellness gurus from all over the world would come and share their knowledge. It was on the path of building this dream that she met Miguel, her now husband and partner in Casa Tara. 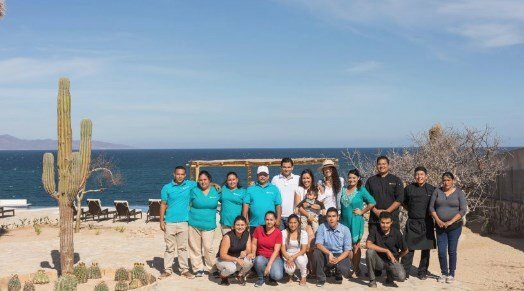 Together they host and run the luxury hotel in Baja California along with a staff of friends and the sweet company of their baby son, Matías. Casa Tara is the materialization of the dream Marcela had one day of welcoming those who needed to get away from the agitated city life to rest and restore, by entering in touch with nature and with their souls. It is from a deep-caring, nature-surrounded environment, that Casa Tara emerges as a stress-free atmosphere that guests will hopefully leave being an improved version of themselves. Casa Tara seeks to live in continuous harmony with the environment. We believe that nature is the nurturing force that provides us with everything we need to fulfill our bodies and souls, so we should take care of Mother Nature like she takes cares of us. This is why our building materials were carefully selected to be the best available low-impact alternatives: Straw bales were used as filler in the walls for insulation, and renewable solar energy powers part of the hotel. As to the atmosphere, we asked a Feng Shui expert to come and lead the whole furnishing and color scheme process inside all areas, so Casa Tara is literally a place suited to relax and get in touch with your inner self. We are a crew of passionate people with a deep love of what we do. Every day our wish is to provide an outstanding service for our guests and make them feel at home. Our reward is your smile. Take a break from your daily routine to give yourself the joy of simple living. Our promise is to provide you with the most intimate experience where friendliness and service meet the ultimate quality and comfort.